In addition to its particularly beautiful scenery, Dinosaur Provincial Park – located at the heart of the province of Alberta’s badlands – contains some of the most important fossil discoveries ever made from the ‘Age of Reptiles’, in particular about 35 species of dinosaur, dating back some 75 million years. Dinosaur Provincial Park is located in the middle of nowhere and is part of the Alberta Badlands, which is very similar to the South Dakota Badlands, but not quite as large or colorful. The Dinosaur Provincial Park is a UNESCO World Heritage Site in Canada located in Calgary, Alberta. Specifically, it is located in the valley of Red Deer River. This area is notable for its badland topography and is one of the reasons why tourists are drawn to this area. Aside from that, the park is noted for being the site of the richest dinosaur fossils in the world. There are approximately 40 dinosaur species that were discovered in the location of the park. Meanwhile, over 500 specimens have been uncovered at the site and are currently exhibited in various museums all over the world. Hence, the large assembly of dinosaur fossils, the presence of over 500 life species, and other organisms at the site have merited it being inscribed into the UNESCO World Heritage Sites list. Dinosaur Provincial Park was inscribed in 1979 under the Natural category. It is also considered a National Monument in the province of Alberta, Canada. The Dinosaur Provincial Park was established in 1955. It was the initiative of the Alberta government to establish this park in order to protect the fossil beds and other fossil remains at the site. 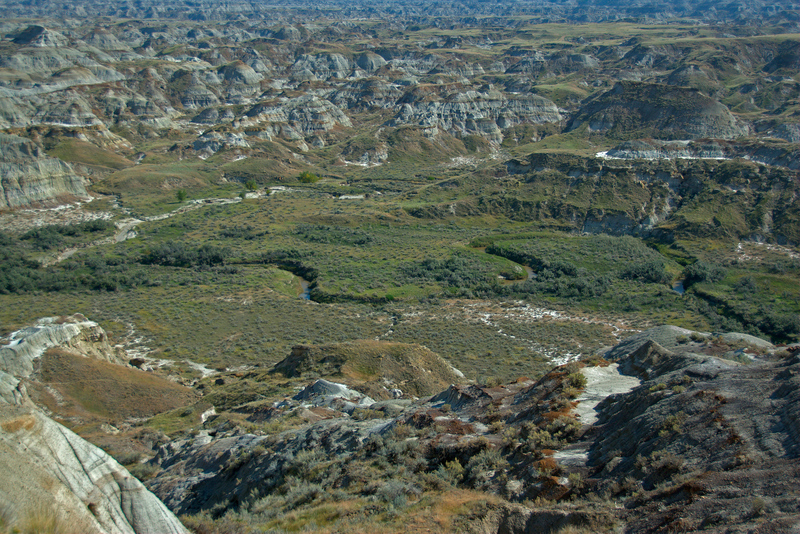 However, it was not until 1979 when it was recognized by UNESCO as a World Heritage Site for its badlands that are of national significance, and the unique habitat for the various life species in the region. At the same time, the fossils that were recovered at the site are of international importance. Prior to 1985, any fossils or remains that were found at the Dinosaur Provincial Park were shipped to other laboratories and museums all over the world. These fossils were studied and analyzed for their archaeological reasons. But since the opening of the Royal Tyrrell Museum of Paleontology, all of these fossils and archaeological findings were studied here. 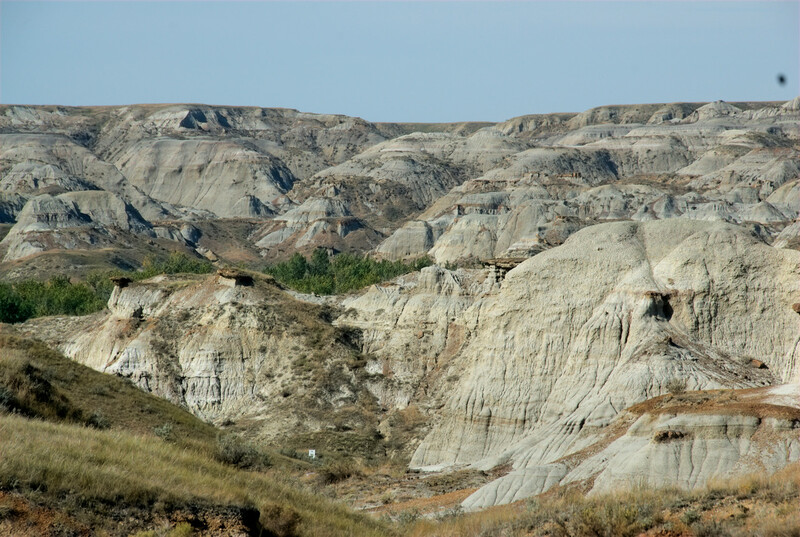 The entire scope of the Dinosaur Provincial Park measures at more than 73 square kilometers in land area. It is currently governed by the Alberta Tourism, Parks and Recreation department. It protects a highly complex ecosystem that is divided into three communities: badlands, prairies, and riverside cottonwoods. For this reason, there is also a wide range of wildlife and animal species that have formed a habitat on this site. Some of these wildlife species include coyotes, mule deer, nighthawks, cottontail rabbits, bull snakes and rattlesnakes, to name a few. According to scientific studies, the sediments on the badlands of the park indicate that these formations have been going on in the past 2.8 million years. moreover, the different layers of sediments indicate that they comprise of three geologic formations. In order to preserve the park, only guided tour programs are allowed. Most of the park is restricted to visitors and are only accessible only with a certified guide. There are interpretive bus and tours (as well as hiking tours) around the preserve. Make sure to book early in order to be accommodated. 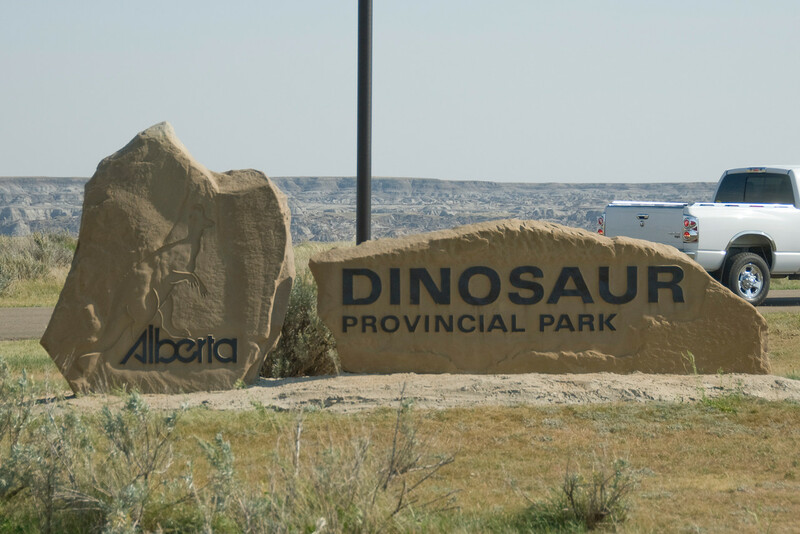 The peak season for booking tours to the Dinosaur Provincial Park is from July to August. Keep this in mind when deciding when to go. There are age restrictions to some of the tour programs offered at the park. The park staff strictly adhere to these restrictions for the safety of the visitors. Pets are not allowed in the interpretive center. If you are going to camp, it is important to reserve in advance. The campsites get very busy during weekends, especially in the months of June to August. If you want to fully experience the park and its sights, a 2-day trip is recommended.